These two verses so beautifully describe what missional living, or incarnational living, looks like in the life of a Christ follower who is seeking to be “in the world but not of it” for the glory of God and the good of the city, or world, that God has placed them in. How do we see transformation? I believe we see transformation by beginning to make ourselves nothing in humility, taking Jesus’ lead when He came to earth and took on the flesh of humanity and interacted within culture. So the question for us as Christ followers are we going to be willing to follow Jesus and make ourselves nothing for the sake of those around us or are we going to continue to think to highly of ourselves and expect fallen, sinful culture and world to stumble into our churches, events, and etc.? I have failed here often in my 8 years of being a Christian, but God has taught me with each failure and here I now sit in a country that is hopelessly in need of the Gospel of life! I, by the Spirit’s empowering, am seeking to make myself nothing and taking on the form of a servant by learning this ridiculously difficult language. Why do I do it? I will just quote Bible, and that is all the defense and explanation that I need, “I do it all for the sake of the gospel, that I may share with them in its blessings.” That is what God has called me to. What is, or has, He called you to for the sake of the lost around you? How are you learning the “language” of those around you? Are you in the process of becoming nothing? As a globetrotting tourist to the Czech republic I was amazed at and confused by the survival of a culture in which the Czech men are so completely non-aggressive and peaceful, complimented by the truly breath-taking, stunning beauty of the Czech women. For a thousand years the Czechs have been living here and have been invaded and â€œconqueredâ€ a dozen times, yet the Czech language, culture, blood lines, and buildings appear to have survived for the most part completely unaffected. World history is littered with peaceful cultures that have been decimated by stronger aggressive invading forces. How could the Czech culture survive when so many other cultures have not? Eventually I came to realize that they survived because of the secret Czech National Defense System. The Czech National Defense System is a secret known by all Czechs…the language. 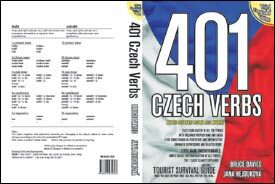 Perhaps Czech evolved in a manner similar to the childrenâ€™s game of pig Latin, in which a word is made unintelligible to the uninitiated by changing a few letters. Delighting in the confusion this caused, the Czechs continued to add to the complexity of every imaginable aspect of a sentence until achieving a cryptographerâ€™s nightmare. I imagine that Czech was so difficult for the foreign invaders that they were unable to interact in a meaningful way with the Czechs. The foreign invaders eventually tired of not being able to communicate much of anything to anyone, so they left, leaving the culture unaffected. When the next invaders came, the Czechs realized that with the secret defensive power of their technically sophisticated language, being non-violent would do less damage to life and property. The Czechs laughed at the pretensions of the crude steel weaponry of the foreigners, and hosted the new temporary administrators in the big castle on the hill, knowing they too would tire of being here, and leave if they could not talk with anyone. 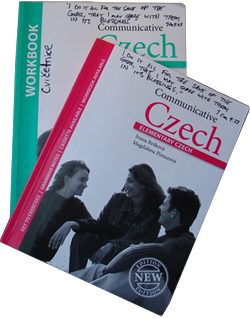 The protection of the secrets of the Czech language has been a part of the culture for so long that it is done effortlessly by all, perhaps not even consciously. This protection of the language is visible everywhere. A small example, one of the most common words in the language, â€œÅ™ictâ€ (to say), is not listed in the pocket dictionaries that are bought by tourists.